The landscape just keeps moving beneath the north face of Mount Edith Cavell. Once again, Cavell Pond has overflowed and sent a rush of water and debris over the south end of the Cavell Road just below main parking area. 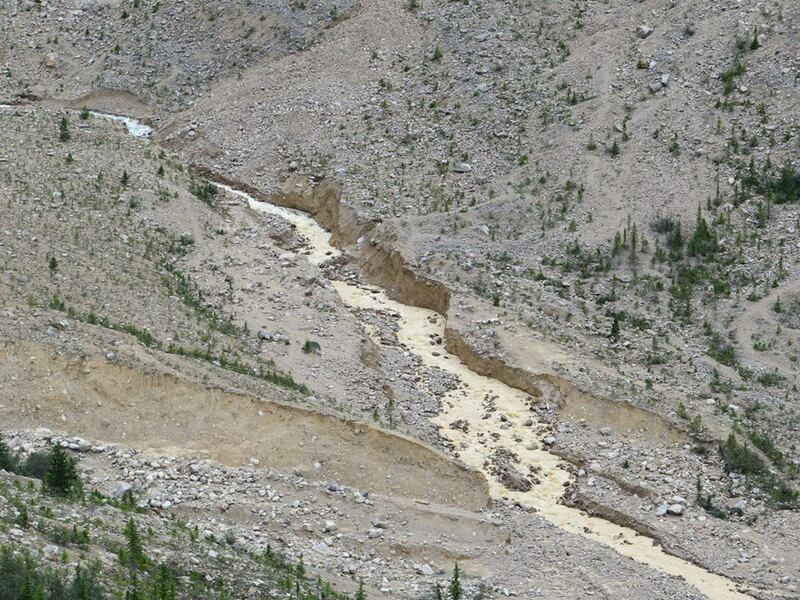 The overflow occurred on the night of August 15 and prompted the closure of the Cavell Road and all trails in the immediate area. This slide arrives almost two years to the day after a larger slide swept the area on August 10, 2012. 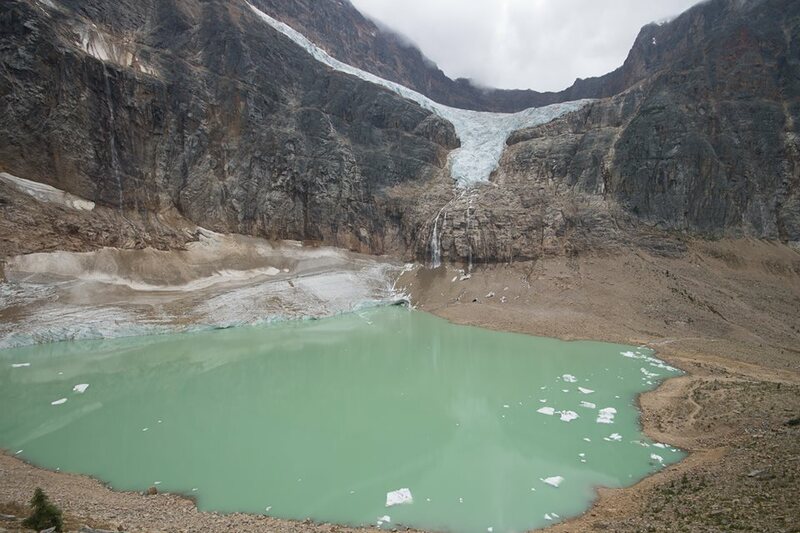 In addition to the Cavell Road, Cavell Meadows and Path of the Glacier trails have been closed. According to the Jasper Trail Alliance-Facebook site, visitors with confirmed bookings at the Cavell Hostel or backcountry permits for the Tonquin Valley can drive to the hostel between 08:00 and 18:00 after checking in with staff at the bottom of the gated Cavell Road. As of August 23, there was no prediction of when the area might be safe enough to allow public access. You can keep track of this closure by following Jasper’s Trail Conditions Report and the Jasper Trail Alliance-Facebook page. Cavell Pond (above) is shown just prior to overflow on the night of August 15. The resulting outwash that created a new channel below the pond (below). Photos by Parks Canada/Rogier Gruys.